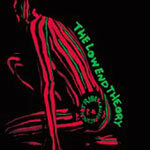 Low End Theory lets you in on how the Tribe Called Quest does it. Funky, fresh, smooth and always improving. These guys never let down! Produced by A Tribe Called Quest.